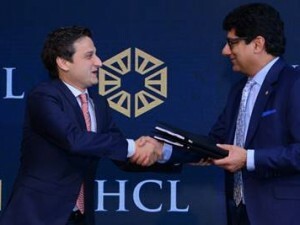 The Indian Hotels Company Limited (IHCL) has announced its entry into Makkah, Saudi Arabia, with a partnership with Umm Al Qura Development and Construction Company in the prestigious King Abdul Aziz Road (KAAR) project. 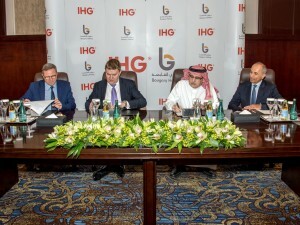 Commenting on the signing of this agreement, Puneet Chhatwal, Managing Director and Chief Executive Officer at The Indian Hotels Company Limited (IHCL) said, “We are honoured to partner with Umm Al Qura Development and Construction Company in bringing the first Taj hotel to Saudi Arabia. This signing is aligned to our strategy of a strong focus on global growth markets and to be present where our guests travel to. We are committed to expanding our presence in the MENA region.” This hotel will be IHCL’s fourth venture in the MENA region. The company manages Taj Dubai located in the Burj Khalifa downtown area. It will also open another two hotels in Dubai in the next twelve to eighteen months. The proposed hotel is conveniently situated within walking distance of the Grand Mosque (Masjid Al-Haram), the main attraction for over six million pilgrims who visit the city each year. It will also be in close proximity to commercial offices, retail stores and restaurants within KAAR project. The hotel, scheduled to open in January 2023, will have approximately 340 keys, banqueting facilities and several restaurants to serve all tastes. Four Seasons Hotel, Makkah will be the company’s second location in Saudi Arabia, joining Four Seasons Hotel, Riyadh at Kingdom Centre in offering the most luxurious accommodations and personalised service in the region. Four Seasons Hotels and Resorts and Jabal Omar Development Company (JODC) announced plans for a new Four Seasons hotel in the Makkah as part of the Jabal Omar integrated real estate development. Ideally located adjacent to the Grand Mosque, Four Seasons Hotel, Makkah will offer the most gracious accommodations in the city. Award-winning architectural firm Foster + Partners was chosen following an international design competition for this project. The multi-towered building atop a retail podium cascades down toward the Grand Mosque, seamlessly integrating its public spaces into the Haram. An innovative design allows clear views of the Kaaba from every guest room and suite, each of which will feature one or more private prayer rooms. Additional features of the hotel include three restaurants and lounges, a ballroom and meeting rooms, and a spa and fitness centre. Swissôtel Hotels & Resorts has signed an agreement with Sarah Towers For Real Estate Investment Company to manage the 1,624-room Swissôtel Al Maqam, Makkah in the Kingdom of Saudi Arabia. Swissôtel’s second property in the Holy City, Swissôtel Al Maqam will be situated in the prestigious Abraj Al Bait complex, part of the King Abdul Aziz Endowment Project, overlooking the Masjid Al Haram. The property is scheduled to open in September this year and will join the existing Swissôtel Makkah. Approximately one hour from King Abdulaziz International Airport, the property is footsteps away from the Masjid Al Haram, the largest mosque in the world, and the Ka’aba, known as the most sacred site in the Muslim faith. 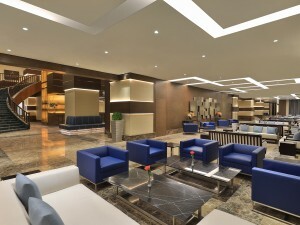 Swissôtel Al Maqam will be flanked by other properties already within the FRHI Hotels & Resorts (FRHI) portfolio, Raffles Makkah Palace and Fairmont Makkah Clock Royal Tower, in addition to Swissôtel Makkah, with the entire complex currently housing the largest number of guestrooms within the Abraj Al Bait complex.